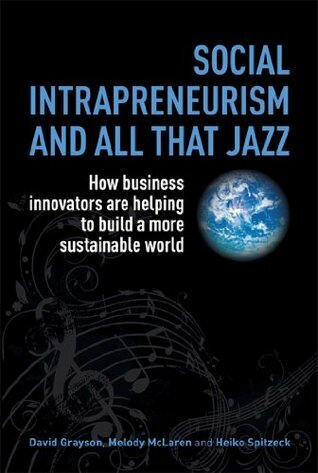 In response to the world’s rapidly growing social, economic and environmental challenges, a growing wave of “social intrapreneurs” are harnessing the power of large companies to create new business solutions to address societal problems. Social Intrapreneurism and All That Jazz reveals how these highly creative social innovators are improvizing alliances across, as well as beyond, their companies to create micro-insurance products for low-income people; offer delivery services to millions of small businesses in slums around the world; develop alternative-energy solutions inside a major gas and oil corporation; partner with a Brazilian community to produce new natural care products; establish a green advertising network within a major media company; apply engineering expertise to help alleviate poverty and much more – all while generating commercial value for their companies. Distilling insights from interviews with social intrapreneurs, their colleagues and experts around the world, the authors bring to life how business can be about more than just maximizing profit.r own personal resilience.